A dedicated team of volunteers, board members, and other supporters has made Hekima Place the thriving, mission-driven organization it is today. Learn more about our Executive Team members, who work to ensure our organization’s long term success and to address emerging needs. For further information, please contact us. 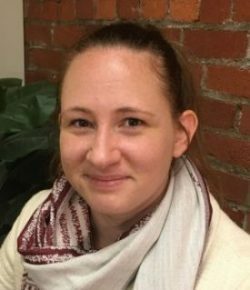 Kate Fletcher is a native of Pittsburgh, Pennsylvania in the United States and has worked in many roles during her career, including as a teacher, social services administrator, and lab technician. She moved to Kenya in 2003 to become a full-time volunteer at a children’s home for HIV/AIDS orphans. 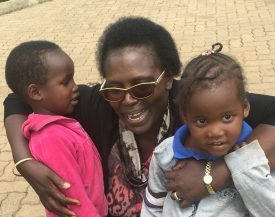 Kate founded Hekima Place in 2005 in response to the unmet needs of other orphaned and vulnerable children in the community. Learn more about Kate and the origin of Hekima Place in Our Story. 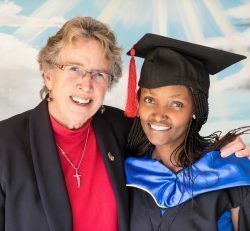 Jenny Roach became the director of Hekima Place in Kenya in May 2017. Raised in Newport, Wales, she brings a passion for helping young people, especially girls, develop their gifts and talents to their full extent. Jenny has deep experience in international development and has worked in the fields of youth outreach, community development, and service ministry for over a decade. Much of Jenny’s international work has revolved around helping children and youth in the western part of Kenya. Click here to learn more about the experience and expertise Jenny brings to her new role. In this short video, Jenny introduces herself and reflects on the past experiences that have given her the compassion, wisdom, and faith that she brings to her new role at Hekima Place. As U.S. Director of Development, Ashley oversees operations in the United States office, which is where most of our fundraising, administration, and governance work takes place. The Board of Directors is pleased to announce Ashley Lackovich Van Gorp has joined Hekima Place as Director of Development effective Tuesday, May 29th. Ashley comes to us from Mercy Corps where she led the strategic direction and resource development for adolescent girls in the Middle East and North Africa. Ashley was responsible for all fundraising for their unique Middle East and North Africa girl hub. Having developed a comprehensive development plan for the Girl Center, she collaborated with their major gifts, foundations and corporate giving teams to meet recruiting /retaining resources for the Center, continued growth and sustainability. 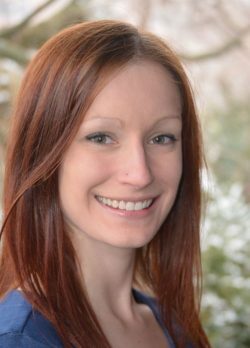 Ashley has a PhD from Antioch University, A MA in interethnic Relations from Skidmore College and a BS from the College of Wooster. Ashley’s volunteer service includes Enhance Worldwide, Girls’ Globe Blogger and Bethany Girls School. She has numerous publications including “Leading with and for Girls”. Hekima Place is pleased to have found a woman with such a varied background and experience willing to take a “hands on” approach to lead our board and volunteers by creating and implementing a development plan to take our organization to the next level – all to honor our girls and continue to help us to lift them up with love and respect. 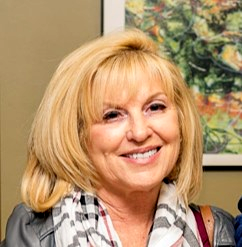 Marianne McClain represents the U.S. Board of Directors as its President, and has been a devoted volunteer and advocate for Hekima Place throughout its twelve-year history. She has visited the home in Kenya a number of times and is committed to creating every possible opportunity for success for each girl. Marianne is a retired director of marketing and resides in Pittsburgh, Pennsylvania. Rebeccah Murigah leads the Board of Trustees in Kenya, which is responsible for oversight of policies and management in Kenya. She is Professor of Philosophy and Religious Studies at the University of Nairobi in Kenya. Rebeccah has provided guidance and support to Hekima Place for much of the organization’s history, with a special focus on implementing educational policies and ensuring academic excellence for the girls.